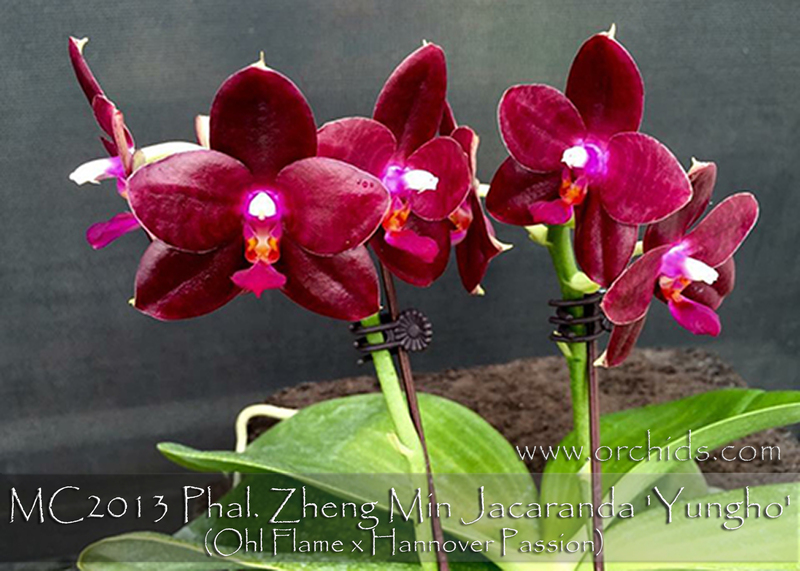 This fabulous new hybrid is just loaded with the most important species used in breeding for amazingly colorful and fragrant progeny ! 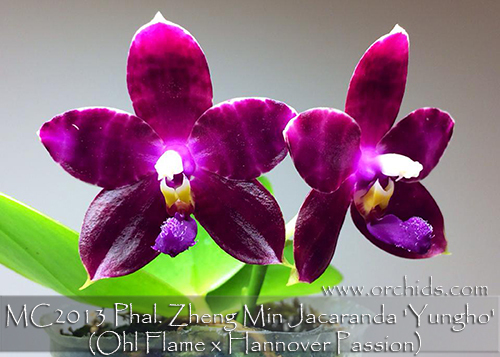 A near primary cross, Phal. 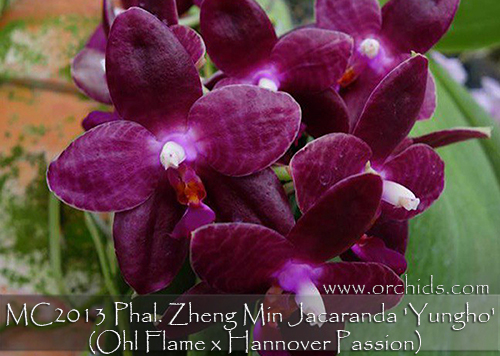 Zheng Min Jacaranda combines the species of Phal. 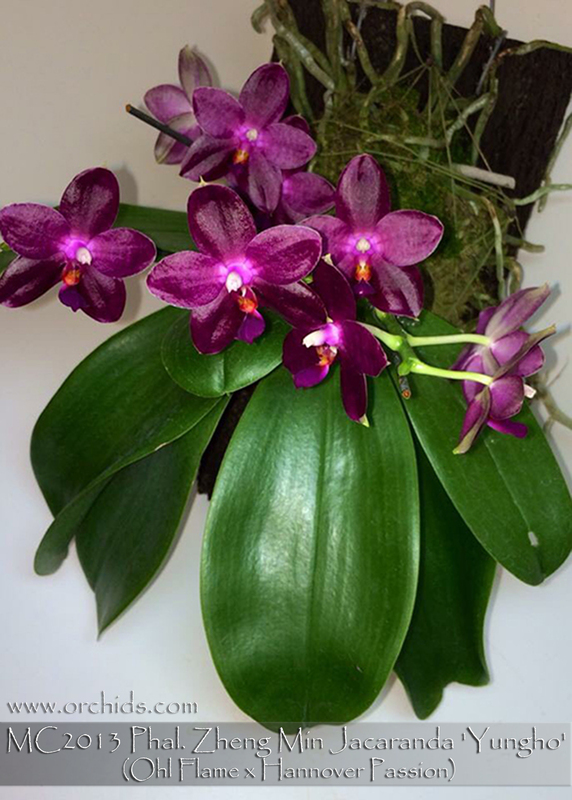 violacea, amboinensis, gigantea, micholitzii and mariae. 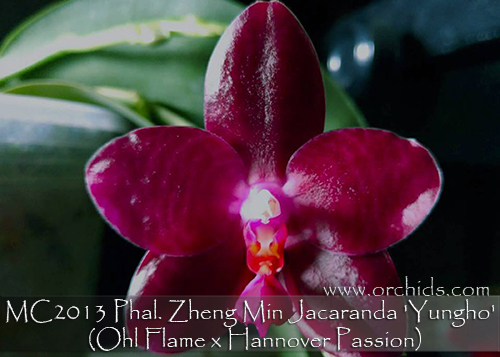 Its compact spikes produce almost totally solid waxy red fragrant flowers in perfect proportion to its compact leaves. Capable of giving a long lasting display, with its previously flowered spikes remaining green in preparation for producing even more buds and flowers in addition to creating additional new flower spikes. If the spikes remain green, do not remove them. Very Highly Recommended !